Music is part of our every day lives. Whether you are listening to the radio at home, at work or in your car, you encounter it at some point in your day if not all day long. It is even better when you can take your favourite songs anywhere you want. In 2012 Edifier acquired the headphone brand STAX and since have created a line of headphone and earphones. A few selections of earphones and headphones are going to be available in Canada and the US. So what makes Edifier earphones so special? Noise-isolating. Edifier earphones are designed to let you fully emerge yourself into your music. Taking public transit can be uncomfortable but with Edifier earphones you can block out other peoples conversations and relax. All you’ll be able to hear is the crisp music produced from your earphones. Designed with Neodymium magnet drivers your sound is extremely clear. Because Edifier earphones have noise-isolating properties, you can take calls without struggling to hear the person on the other line. Hear them like they were standing right next to you. Great for sports. If you are an athlete and looking for earphones you can wear while you run, Edifier has what you are looking for. The H293P is designed to stay securely in your ear while you workout. Make use of your motivational playlist and use it to push yourself through your workout. Comfortable fit, unique tilt. Earphones aren’t all the same. Some don’t stay in your ear, while others cause too much pain. Edifier’s earphones are engineered for long hours of use with ergonomic in-ear design. They are comfortable and created to stay in place. Most Edifier earphones come with three sets of silicon ear buds. Choose from small, medium or large. Different size ear buds allow you to have the best fit and comfort from your earphones. The H210 hi-fi earphone has an oval ear tip to naturally fit the contours of your ear. This adds extra comfort and directs the sound straight to you. No need to blast your music. The H210 has a 15-degree tilt to reduce auscultation and produce clearer sound. TPE wire. Edifier earphones all have a flat wire called TPE wiring. They are anti-winding wires. You can throw them in your bag and when you pull them out you don’t have to spend time untangling them. It saves you time and at the same time extends the life of your hi-fi earphones. Because they don’t tangle they don’t bend in ways that would cause the TPE wire from breaking. To lengthen their life, they are also pull resistant. If they get wrapped around something in your bag, giving them a bit of a pull wont damage your earphones. TPE wire makes your earphones more durable, saving you money in the long run. Inline microphone/remote control. Seamlessly switch from your music to a phone call with a click of a button. No need to take out your phone to pause a song or answer a phone call. The built-in mic/remote lets you do that with a click of a button for hand free calling. 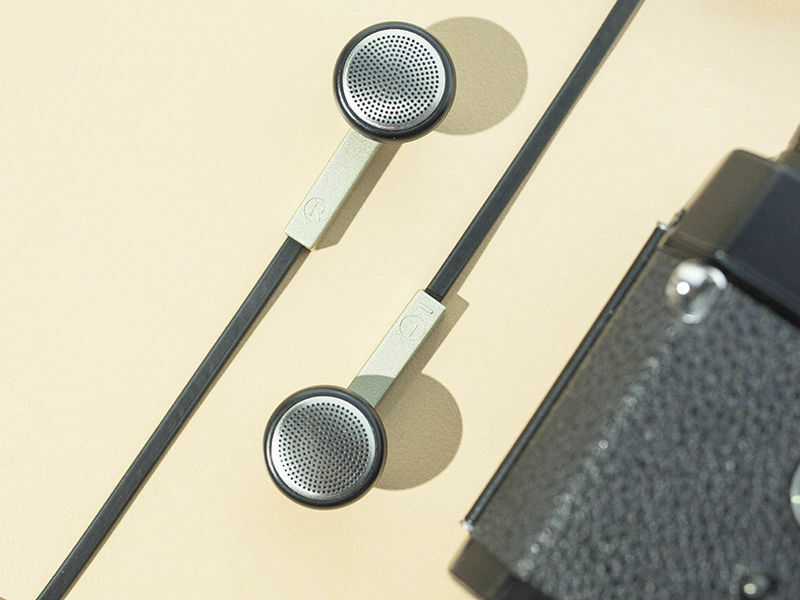 Edifier’s i285 earphones are specifically engineered to work with your iPhone or iPad. Each smartphone brand has different volume controls, which means adjusting volume on a built-in control on an earphone may not work for all smartphones. The i285 features mic/remote control and volume control. Plug into your iPhone or iPad and control volume, music play/pause and calls from the inline mic/remote.